Few months back Bharat Sanchar Nigam Ltd (BSNL) had sets up its own speedtest servers in all four zones on popular speed test website speedtest.net. BSNL has now announced that it has withdrawn all servers hosted on speedtest.net. BSNL has cited ‘Advertisement of BSNL’s competitor on same page’ as reason for pulling down its speed test servers. 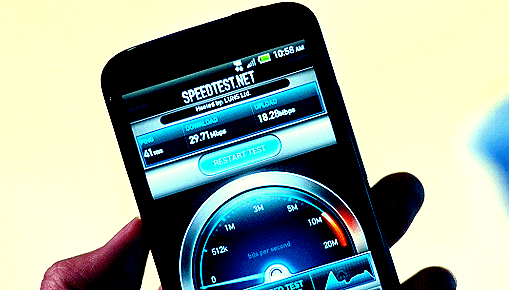 BSNL had commissioned four new speed test servers for its broadband and 3G customers in all the four zones. The servers were introduced due to complaints of slow broadband speeds by its subscribers across the country. BSNL were of the opinion that most of the consumer complaints about slow broadband arise from false results given by third party servers on speedtest.net and the speed of broadband is actually not that slow. BSNL will only entertain low speed of broadband complaints if the subscriber has tested the speed using its own servers and not third party servers. Do share you views about BSNL pulling its speedtest servers by comment below. MTNL Broadband is better as compared to BSNL. MTNL Offers Good & Cheaper Broadband Tariff Plans. BSNL Broadband is costly. Now atleast they should reduce the Price of Broadband Tariff Plans.